Hernando County is located on the West coast of Central Florida. 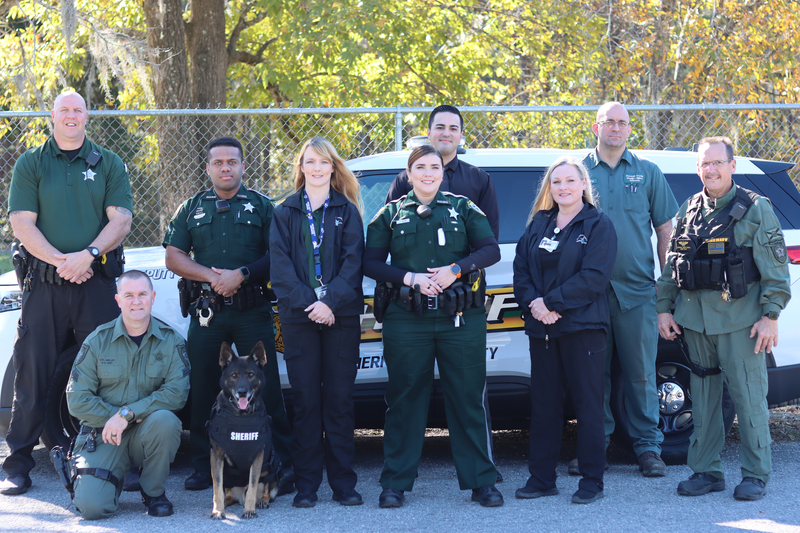 The Sheriff's Office provides law enforcement services to a population of approximately 186,000, including the City of Brooksville. This is an increase of nearly 318% since 1980, and Hernando continues to be regarded as one of the fastest-growing counties in the United States. The Hernando County Sheriff's Office is committed to responding to the needs of the citizens of Hernando County. Our mission is to maintain peace and order, safeguard life and property, and protect individual rights through the delivery of professional services. The measure of our service will be judged by the community. Note: It is not the policy of the Hernando County Sheriff's Office to participate in trading police patches. Due to the volume of requests received, we will not reply to e-mail requests for patches.